Penn Cinema's location along the Delaware River waterfront in Wilmington is shown. The Lancaster County-based company plans to open two upscale movie theaters within a 15-minute drive of each other in Montgomery County. A movie theater upstart that markets itself on providing a more intimate and luxurious experience plans to set up shop just outside of Philadelphia. And Penn Ketchum, a managing partner at the Lancaster County-based company, made one thing clear this week: He wants to bring two of the nicest movie theaters in the country to Montgomery County, even if they're smaller than his competitors. Penn Cinema said Wednesday that it will open upscale, seven-screen multiplexes in shopping centers in Upper Moreland and the Glenside section of Abington. Ketchum – a former public official in his Lancaster hometown who jumped into the private sector by opening a movie theater in 2006 – said the Upper Moreland location will open in The Marketplace at Huntingdon Valley shopping center off County Line Road. The company plans to open that 700-seat theater in time for the release of Disney’s live-action remake of “Mulan” on Nov. 2 of this year, Ketchum said. The Abington theater is expected to open sometime in 2019. Moviegoers at the Upper Moreland theater can expect luxury Irwin power-recliner seating, state-of-the-art Christie digital projection, killer sound systems and a concession stand that includes a wood-fired pizza oven, Ketchum said. "Plans for a full service bar are also being discussed and reviewed although a firm plan for moving ahead has not been finalized," according to a press release issued by the company. Seating reservations will be available for both in-person and online ticket purchases. Customers will be able to reserve seats ahead of time and still get the best seats in the house, Ketchum said. The second location will be similar to the first in terms of size and offerings, Ketchum said. 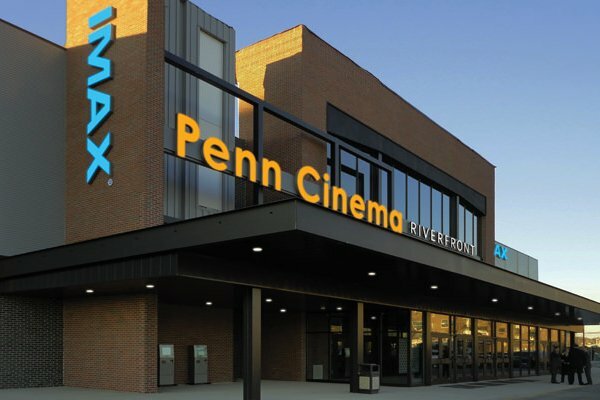 Some in the Philadelphia area may recognize Penn Cinema for its location on the Wilmington Riverfront in Delaware, a sleek complex that includes 14 screens and an IMAX theater. The theater marked Ketchum’s first expansion attempt after he and a small group of investors opened their original complex in Lititz six years earlier. "From what we’ve learned, people really like a hometown movie theater," Ketchum told PhillyVoice. "They like something a little bit smaller. There’s a little bit of a turnoff when you have 20 screens. People want something a little more rooted and a little more local." Ticket prices at Penn Cinema's Wilmington theater – $12 for the 7 p.m. Thursday showing of "Red Sparrow" – are comparable to prices at two other multiplexes in the immediate area. Compared to his competition, Ketchum’s operation is small. His plans for Montgomery County would double the company's number of theaters. But he's not just opening more theaters for expansion's sake, he said. “It’s a big step for us," Ketchum said of the move. "This is not something we take lightly and not something that's just a line item on a list of assets. It was a real personal decision and a real careful one." Ketchum began looking at Eastern Montgomery County after receiving a call from a friend working with New Century Associates, the real estate firm that owns both properties. “When I looked it up, the population in that area and the demographics are quite dense, and the movie theaters available to them are not locally convenient,” he said. “It looked like a place where we could do business and bring an asset to a community that seems to be pretty strong." Regal Cinemas had operated a popular 14-screen theater in the same Upper Moreland shopping center from 1991 to 2001. In 1999, however, Regal opened its Warrington Crossing 22 theater – with stadium-seating – less than five miles west on County Line Road. The Upper Moreland theater closed about two years later, and the building taken over by an L.A. Fitness gym. A 15-minute drive will separate Penn Cinema's two planned theaters, a factor that could allow the company to dominate the market without operating one huge facility. If the movie needs of that region of the area are somewhat underserved, that looks bound to change within a few years. In late January, Abington Township approved a proposal for a Studio Movie Grill location inside the former J.C. Penney department store at the Willow Grove Park mall. At the time, the mall’s owners said they planned to open the 11-screen, dine-in facility by Labor Day weekend of 2019. Proposed is an in-theater dining and drinks experience, complete with the option to order from your seat and have it delivered.